This summer, Diynamic label boss Solomun returns to Pacha for his best ever season of the now globally recognised Solomun +1. The iconic party runs from May 26th until October 13th and takes in plenty of returning favourites as well as brand new names such as Peggy Gou, Denis Sulta, Tijuana T, DJ Seinfeld, Maceo Plex, Mano Le Tough, Tale Of Us, Dixon, Luciano, Chloé, Âme, DJ Koze, Moscoman, DJ Tennis and plenty more. The last 12 months have found Solomun once again touring the world and playing at a number of his own Diynamic showcases and festivals. This year he will take this legendary party to Exit Festival for the first time after showcases in Beirut, New York, Berlin, LA and Tulum, Mexico have established it around the globe. Of course he also starred in the latest Grand Theft Auto game, which cemented his reputation as one of the most recognisable faces of house music, and Solomun + 1 is now officially the longest running residency at Pacha after the famous Flower Power night. All of this makes Solomun+1 a must attend party for anyone heading to the White Isle. 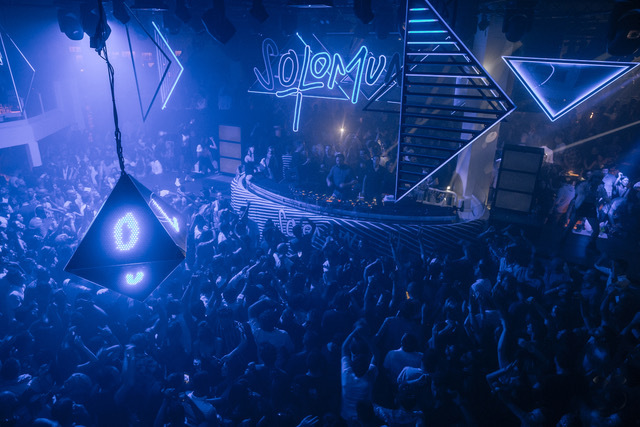 It is an immersive experience with a no expense spared approach to production that results in plenty of stunning creative decor and immersive light and visuals, all expertly curated by Solomun himself. Each event finds world class house and techno guests do their thing before the Diynamic label boss lays out his singular musical visions in his most natural environment. Always serving up plenty of classy melodies and uplifting grooves, future classics and the occasional tasteful anthem, Solomun is truly at home at +1 so you can always expect the very best of him. What’s more, as usual, the final set of the night finds him go back-to-back with his choice guest under the celebrated Pacha cherries and extra special magic is always confirmed. With this announcement, Solomun+1 once again sets the standard for house and techno parties on the White Isle and offers its most impressive and complete season yet.